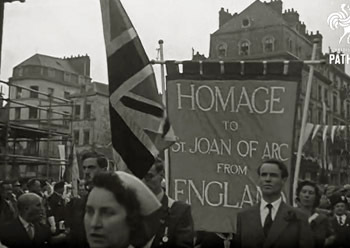 This past July (1956) we commemorated a centenary of St. Joan of Arc. Indeed, on July 7, 1456, the ecclesiastical sentence that rehabilitated St. Joan of Arc was published. Five hundred years later, the world again pays tribute to the Maid of Orléans. Today we turn our attention more particularly to the universal meaning of this centenary. 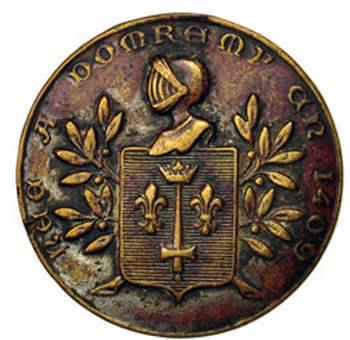 St. Joan of Arc, as the paladin of the independence of France, received a due homage from all of Christianity, because the nation of the Franks has the inalienable right to be the eldest daughter of the Church. Moreover, the heroine of Orléans admirably symbolizes the virtue of militancy and fearlessness, something our era neither understands nor appreciates. Thus, this centenary does raise a debate over a topic infested with the liberal prejudices of our time: What are we to make of the use of force and violence to combat evil? Before the overwhelming torrent of iniquity the contemporary world faces, would it not be better for us to look after our personal spiritual lives and leave to Divine Providence the rendering of accounts with the evil? In response to todays’s communist-pagan onslaughts, the practical and theoretical attitude of large sectors of Catholic opinion is nothing but concession. To employ human means is not to dismiss divine help, quite the opposite. Even if we are useless servants, God uses men as instruments of His omnipotent will and His wise designs during our pilgrimage on this earth. The important thing for us, consequently, is to conform all our acts to the sovereign will of God, known through Natural Law and Revelation. 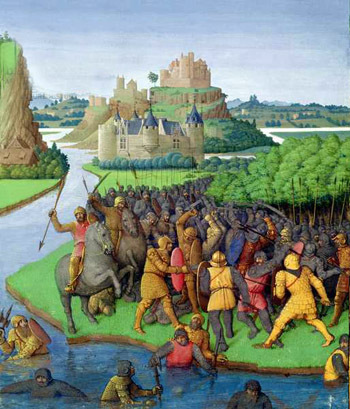 Let us look at the example of the Maccabees. In the 2nd century BC, the spirit of the people of Israel had been infiltrated by a pagan Hellenism, which undermined their strength and made them fall into the power of the Syrian Greeks. This could have been an occasion for the Jews to deliver themselves passively to a vilifying yoke. However, something else happened. Now then, no one will deny that the Maccabees employed human means to fight the evil. How can we act otherwise in the conditions in which God places us? Consequently, the wise thing is not to despise the human means available to us, but to raise them to the supernatural level. If we must have confidence in God in every act of our life, how much more should we confide in Him in those dramatic, stormy moments when we must fight for good and justice? 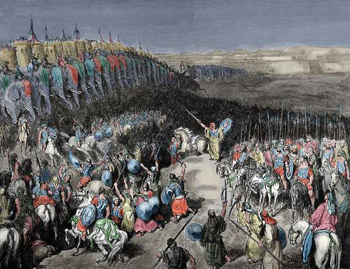 Thus were the Maccabees the instruments of God to save Israel in a critical moment of its History. In this respect, we must note that God chooses not only individuals, but also nations, for different missions in order to fulfill the designs of His Divine Providence. ‘They yielded not the horn”: That is, they suffered not the power of Antiochus, that man of sin, to abolish the law and religion of God. Reins literally means “kidneys;” here this expression – ”his reins trembled” – means that Mattathias had a great internal commotion and he became indignant.